Air leaks in the intake hoses or at the intercooler. Leaks in the EGR (exhaust gas recirculation) system. Ensure DPF (diesel particulate filter) and Catalytic converter is free of blockages. 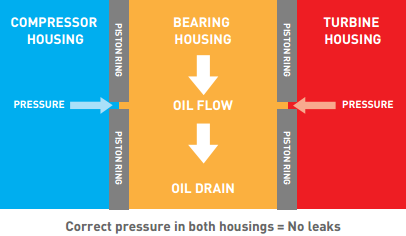 Oil leaks can occur on VSR (high speed) balancing machines as the ambient pressures required to create the seal are not present as no housings are used. 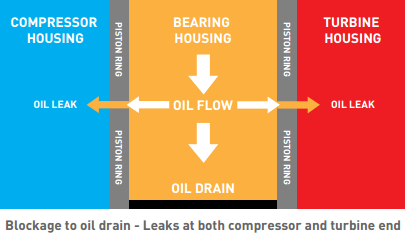 This can then force out oil from both the compressor end and turbine end giving the impression of a leak. This is unlikely to occur when the replacement turbo is fitted to the engine. An oil leak can also occur when engines are running on idle. 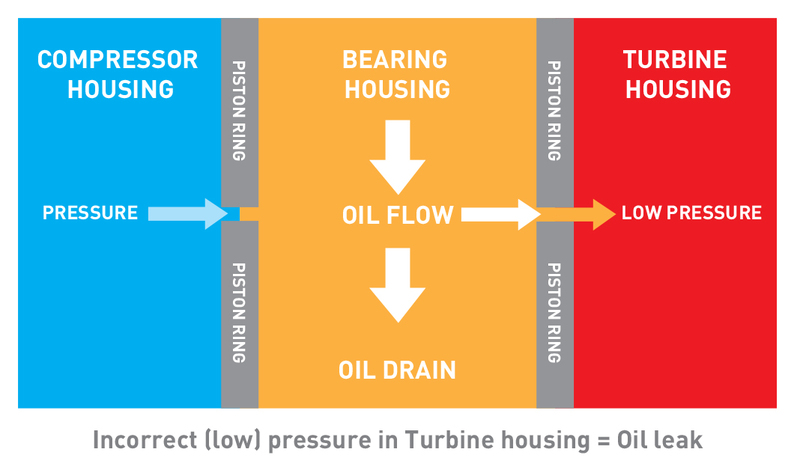 The pressure within the housings is lower, which in turn can lead to a vacuum being created, causing the oil to leak into the turbine housing. 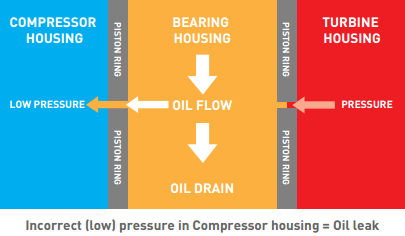 Once the engine starts to run at normal speeds the pressures will be restored and the leaks will stop.